Page two. Here's a couple of interesting King Street 455's. from dear ol' Dad now, he soon will be. 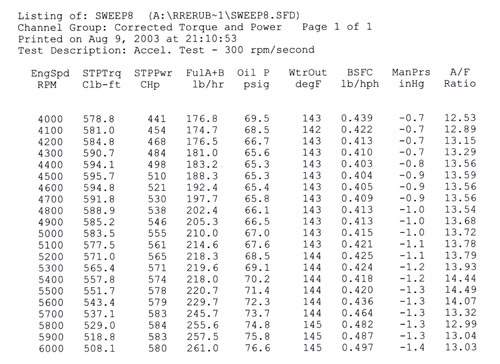 Wait til he sees these dyno sheets! Bill wanted to use his 66 Tri-power unit. Oh my.....here we go again. 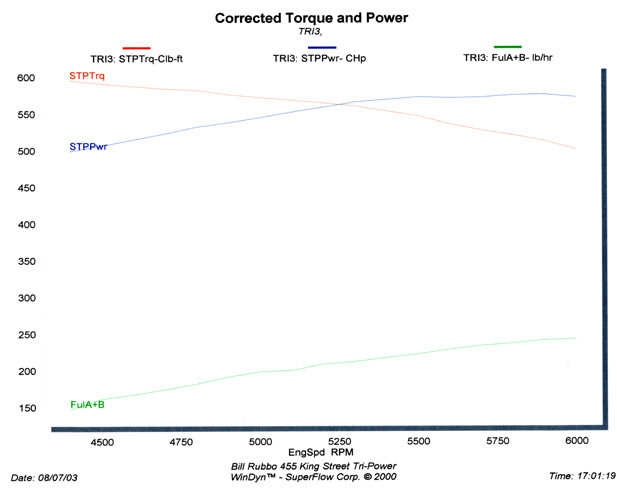 to make sure it was broken in properly before installing the highly modified TriPower unit. 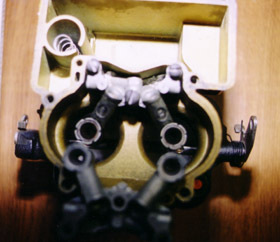 in case of a big roller cam engine a Victor manifold. After getting a decent baseline with the 850 and the Torker we installed the Tri-power. Below is the Chart that goes with the graph above. street car and is cammed to provide a lot of fun, (see that torque?) 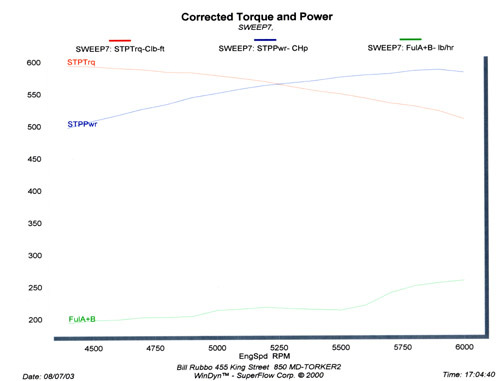 See that torque curve? Nice. 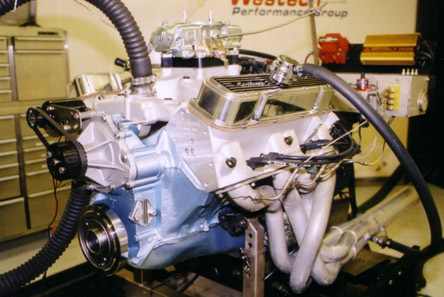 You'd LOVE to have this engine in your race car, let alone a daily driver. driving a drag race engine on the street anymore. Bills Tri-power had been ported sometime before it got to us. It also had been milled. Could the modified Tri-power hang with the Demon and the Edlebrock? 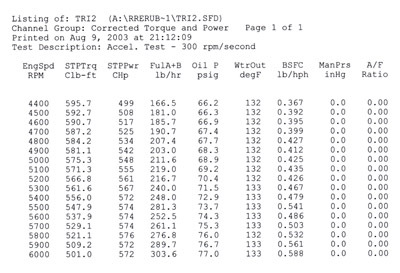 Still got that great torque curve!! and a hydraulic cam 455- five years ago! My ported Edelbrock 72cc heads of course. Click HERE for engine #2 this week.